The Washington State Developmental Disabilities Council is seeking candidates to fill open positions on the Governor-appointed Council. The Council is especially interested in candidates from the diverse geographic, ethnic and cultural communities in Washington and the Native American Nations. Candidates will be interviewed by the DDC Membership Team, however, final selection of members is made by the Governor’s office. Members will hold a three-year term and are eligible for reappointment for a second term. The Council covers all expenses, including travel to meetings, meals and lodging. 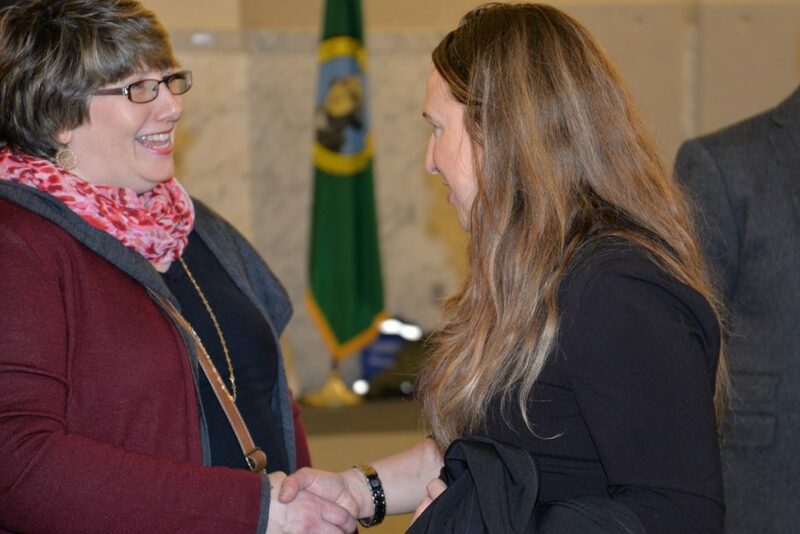 The Washington State Developmental Disabilities Council mission is to advocate, promote and implement polices and practices over the life course to create pathways to meaningful, integrated and productive lives for people with I/DD. Go to the Governor’s website and click on Apply to a Board or Commission. Application deadline is April 30, 2018. For more information, contact Ed Holen or Linda West at 800-634-4473.